Reserve your Peru Adventure by August 31, 2019 and Save $200 per person. For additional information about our adventures see the questions & answers in our FAQ. If you compare Andes Adventures with other companies offering adventure travel, you will find that we charge a lot less for similar programs. 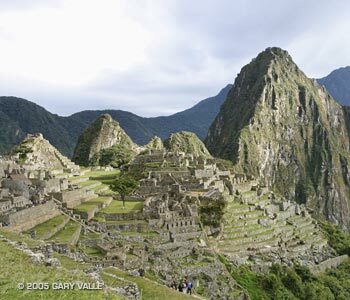 Please note that Inca Trail permits will sell out 8-9 months or more before the trips. For the 2020 June Inca Trail marathon, we recommend that you register in late September 2019 at the VERY latest. For the 2020 August events, we recommend that you register in early December 2019 at the VERY latest. Earlier would be better. For June 2020 Inca Trail Trekking to Machu Picchu with Inti Raymi Festival, we recommend that you register in late September 2019 at the VERY latest. If you don't register by late September we cannot guarantee the purchase of your Inca Trail permit. The trip may fill up before the end of September. Reserve early! For any Inca Trail Trekking Adventure in 2020, we recommend you register before the end of September 2019.